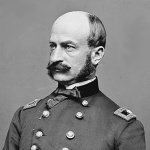 Who were Howard’s 11th Corps division commanders? Brig. Gen. Alexander Schimmelfennig (1824-65), who covered for Schurz until Schimmelfennig was trapped in town from July 1 until the end of the three-day battle. In Barlow’s Knoll, you will find a bronze statue of Barlow. Which of Howard’s division commands have park avenues named after them? However, Steinwehr Avenue is a town road named after Brig. Gen. Adolph von Steinwehr (1822–77), 2nd Division, 11th Corps. Steinwehr Avenue marks the battlefield position of von Steinwehr’s 55th Ohio in the early afternoon of July 1. The avenue is on the west slope of Cemetery Hill. Which of Howard’s division commanders have statues at Gettysburg? 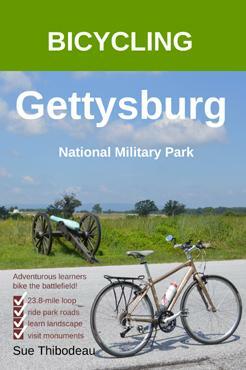 What symbol identifies the 11th Infantry Corps on Gettysburg monuments? 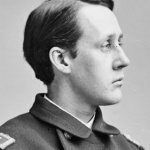 Who commanded the Union 11th Corps? Who were Barlow’s 1st Division brigade commanders? Who commanded the 1st Division, 11th Corps? Who commanded the 1st Brigade of Barlow’s Division? 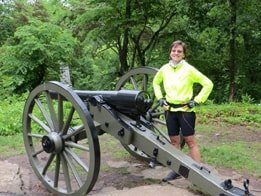 Who commanded the 2nd Brigade of Barlow’s Division? Who were von Steinwehr’s 2nd Division brigade commanders? Who commanded the 2nd Division, 11th Corps? Who commanded the 1st Brigade of von Steinwehr’s Division? Who commanded the 2nd Brigade of von Steinwehr’s Division? Who were Schurz’s 3rd Division brigade commanders? Col. George von Amsberg (1821-76), who covered for Schimmelfennig while he was trapped in town from July 1 until the end of the three-day battle. Who commanded the 3rd Division, 11th Corps? Brig. Gen. Alexander Schimmelfennig (1824-65), who covered for Schurz. 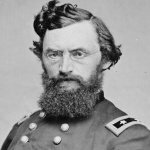 Who commanded the 1st Brigade of Schurz’s Division? 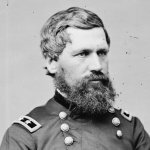 Who commanded the 2nd Brigade of Schurz’s Division?